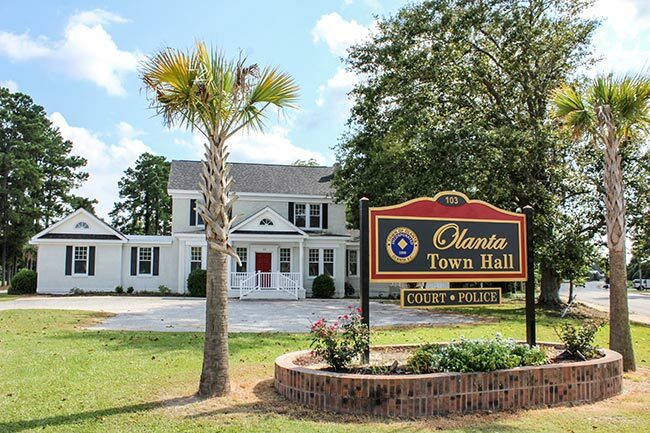 There is speculation on how the town came to be called Olanta, but the book The History of Olanta by Mrs. Mattie Bowers states “a prize of $5.00 was offered for the best name. Olanta was suggested by a Mr. T. J. Cottingham and the committee in charge accepted it.” Suggestions for its origin include both Olanta, Pennsylviania and a derivation of Atlanta, Georgia. The railroad was laid through the town around 1905 by D.W. Alderman and Sons from Alcolu. The train remained active here until the 1930s with the tracks being pulled up around 1937. Records indicate telephone services may have been established when the community was still known as Beulah around 1906. Several businesses such as a store, tobacco warehouses, and two banks were established at this same time. In Olanta’s early years, local police were responsible for refueling and trimming the wicks of Main Street’s corner lamps. Sometime later a Delco power plant came to the area, and by the late 1920s, the town had electricity. The town’s early years also saw the establishment of a spinning plant and a cotton plant. Olanta is located along the South Carolina Tobacco Trail. Tobacco was an important crop in the state, and by 1908, two tobacco warehouses, known as Tucker’s and Gorman’s, had opened in town. Farmers would come from miles around to sell their prized crop. Olanta was also one of the state’s largest cotton producers for nearly 30 years. Totaling an area of one square mile, Olanta had a population of 613 people in 2000. 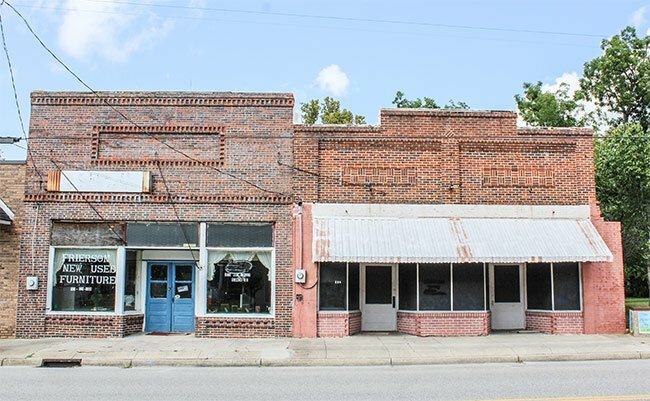 While the town may be small in stature, it is certainly rich in history. Local events, such as the Gator Festival, continue to engage the community. 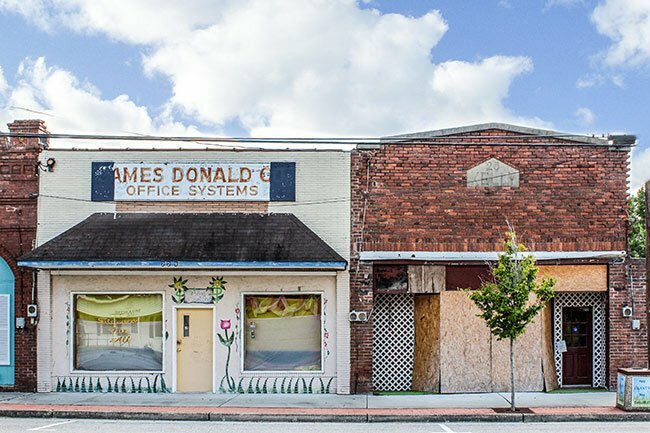 The South Carolina Picture Project thanks Don Pigate for his helpful guide to Olanta’s history, based in part on a 1977 history written by Mrs. Mae M. Moore.